Clean Sleep is a place for all your carpet cleaning related needs. We have a team of professionals carpet cleaners who give you the best services including carpet dry cleaning, steam carpet cleaning Canberra, professional carpet cleaners Canberra, Best Carpet Cleaning Canberra, Commercial Carpet Cleaning Canberra, Domestic Carpet Cleaning Services Canberra and more at a really affordable price. You will get our amazing services all across Canberra. 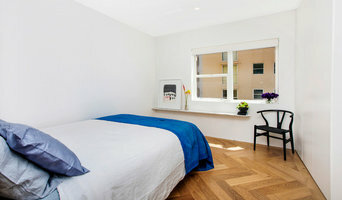 Further more, we provide same day booking service too. We have years of experience in the carpet cleaning field. Reach us now for same day booking services. Or call us on +61 414 530 372 now for the best aids. 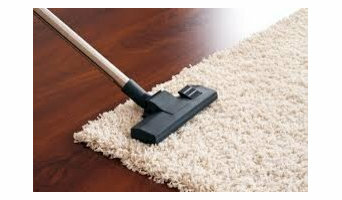 Ians Cleaning Services Canberra is a place where we will provide Professional services including dry cleaning and steam carpet cleaning we also supply you Carpet Cleaning Canberra and Domestic Carpet Cleaning Services in Canberra. We are a team of social certified skilled and experienced Carpet Cleaners. If you are dealing with stained carpet problems then we are here for you to support. So if you need the most competent service which you can comfortably afford at reasonable costs then you can call us on +61 414 530 372 now for the same day booking. Deep Shine Cleaning is a fast growing cleaning business with 9 years of experience in professional cleaning. We specialise in carpet steam cleaning and tile and grout cleaning. We use advanced technological machines and tools that will restore and maintain the look and feel of your carpets and tiles. We deliver quality and affordable services at all the times. As we know that dirty and stained carpets make our home look ugly and smelly. And also it can leave a bad impression in front of your relatives and neighbours. Dirty carpets also cause health infirmities and infections. We at Capital Cleaning Canberra have solutions for all your carpet cleaning requirements. We have years of expertise in this field. We deliver carpet dry cleaning Canberra, steam carpet cleaning Canberra, our professional carpet cleaners Canberra never disappoint their customers and give them the best service that they never had before. So without wasting time and money in searching for other companies reach us online for same day booking service or call us on the number +61 414 530 372 now! We are fully licensed, insured and OH&S compliant. Country & Heritage Timber Floors Pty Ltd is Canberra's leading specialty Timber Flooring Company embracing all timber flooring products from supply to installation and finishing by proficient staff. Family owned and operated since 1979' it demonstrates commitment to product-to-product and service No job too small, no challenge too big. From high traffic areas to residential and commercial the end result will always be stunning. Servicing Canberra And Region Since 1978 Award Winning Company 30 Years Of Experience In The Building Industries Fully Licensed And Insured ATFA Member MBA Member Country & Heritage Timber Floors Pty Ltd is committed to continuing provision of excellence by further consolidation, training, research and implementation of new and refined procedures. For firm quotes, please contact us for an on site inspection or fax or post a floor plan from which we will prepare a firm quotation for your perusal and consideration. JDR Carpet Cleaning provide a professional and affordable Carpet Cleaning Service out of Lyneham, Canberra ACT. We also provide a top rated Upholstery Cleaning Service.Our cleaning Service uses only products that are organic. JDR Carpet Cleaning is a family run business with more than 15 years of experience in the field of carpet cleaning. Over these years we have helped hundreds of home owners with their carpets. You can count on the Fantastic pros in Canberra to give you a hand with general and specialised cleaning as well as other services like pest control. With Fantastic Services you get guaranteed quality and excellence, wide coverage and availability, options to customise your service and many additional perks. Join our membership programme and as a Fantastic Club member take advantage of many special deals and discounts. Peter and Sandra MacDonald have been serving the Canberra region with carpet and upholstery cleaning for over 20 years. That’s a lot of experience to bring to your door when you call us and ask us to clean your carpets and upholstery. Being confident in what they do, they offer you fast, efficient service, with the highest service level. Very Dirty Carpets are our speciality. 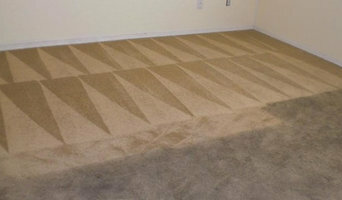 If you go to the VeryDirtyCarpet.com website you will see example of our work and our very satisfied customers. Our Services include: Carpet Cleaning, Stain removal, Upholstery Cleaning, Rug Cleaning, Car upholstery and Carpet Cleaning. VeryDirtyCarpet.com is looking forward to serving you. Where can I find the best Canberra, ACT, AU carpet fitters? A carpet professional will often both supply and fit carpets. A full service carpet professional can offer everything from a catalogue of carpet colours and pile options to carpet accessories like underlay, gripper rods and door plates. Carpet fitters will need to measure your home and they will provide you with an estimate for materials and fitting service. Similarly, if you need someone to help with carpet repair there is a dedicated carpet professional in Canberra, ACT, AU just a few clicks away. Check the reviews of carpet fitters in Canberra, ACT, AU and look out for those who are members of trade organisations such as the NICF (National Institute of Carpet & Floorlayers) or the National Carpet Cleaners Association (NCCA). Where can I find the best wooden floor fitters? A beautiful hardwood floor can be the perfect way to complete a room of any style or design. The right professional will be able to advise you on the wooden flooring options you have that fit your budget. If you have longed for a wooden floor but can’t afford solid wooden flooring, then engineered wood flooring could be for you. And if chosen carefully and done properly, fitting laminate flooring in your home can look almost as good as the real thing. Many homeowners wonder how to fit laminate flooring themselves because it is seen as a DIY task, but fitting laminate flooring correctly is never as easy as it looks, so it’s advisable to still seek the help of a flooring expert to do the job for you. Or perhaps you are lucky enough to have original wood floorboards which can be sanded and varnished to look like new? If you are buying new solid wood floors then a professional flooring installer will ensure that your new floor fits the space perfectly and remains looking beautiful for years to come. On Houzz you can search for flooring specialists and carpet fitters in Canberra, ACT, AU and start to shortlist companies by adding your favourite images to an ideabook. Think about the style of flooring or design of carpet that might best suit your room and then approach the most relevant experts who can then fit your carpets, lay tiles, install hardwood floors or show you how to fit laminate flooring. Your carpeting and flooring professional might work closely with Canberra, ACT, AU contractors, interior designers and others in the home building and home improvement industry. Here are some related professionals and vendors to complement the work of carpet & flooring: Interior Designers, Design & Build, Specialist Contractors, Main Contractors, Home Builders. What do I need to ask flooring manufacturers, installers and carpet fitters in Canberra, ACT, AU before I hire them? How long have so been in the flooring business or working as carpet fitters in Canberra, ACT, AU? Where can I read references from previous clients? Are you a member of a trade association such as the NICF (National Institute of Carpet & Floorlayers) or the National Carpet Cleaners Association (NCCA)? Do you supply the flooring as well as fitting it? What kinds of flooring do you offer? Tiling, carpets, wood, stone, resin? Do you offer a free, no-obligation consultation? Please can you run me through the entire process, from first discussion to completion? What is the most difficult task and how do you plan to tackle that? Do you have any photos of past work to illustrate of how the floor will be laid and what it will look like when it’s done? Will you be doing the work yourself or will you be using subcontractors? Does your quote include all labour, including moving things around and removing existing flooring, as well as materials and finishing if necessary? Do you offer a price match service? How long will the job take and how much disruption will there be? Are you covered for public liability insurance and employer’s liability insurance? Find carpet fitters and flooring experts on Houzz. Narrow your search in the Professionals section of the website to Canberra, ACT, AU carpet fitter and flooring professionals. You can also look through Canberra, ACT, AU photos by style to find a floor design you like, then contact the floor companies or carpet fitters in Canberra, ACT, AU that worked on it.